Twenty-five years ago, Special Collections purchased a small collection of materials produced by and pertaining to the poet Anne Sexton (1928-1974). 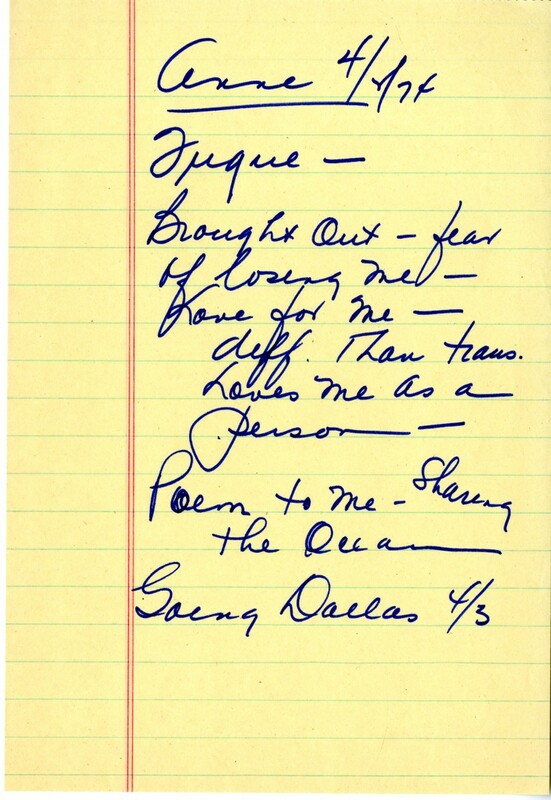 Along with nine books from Sexton’s personal library, the collection contains materials compiled by her therapist, Barbara Schwartz, during the final nine months of the poet’s life before her suicide on October 4, 1974. 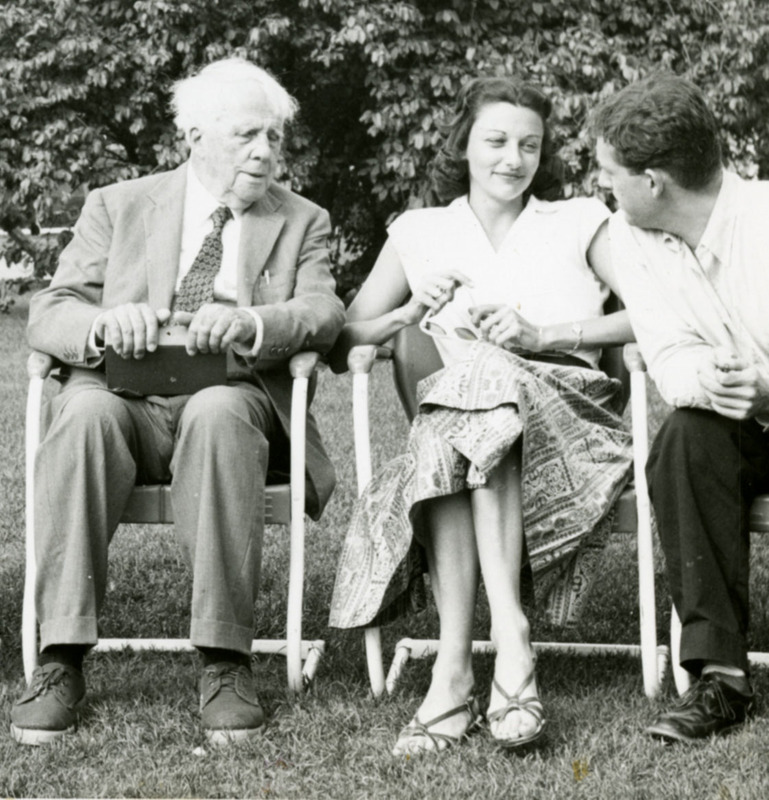 Robert Frost and Anne Sexton at Bread Loaf Writer’s Conference, 1959 (photo from the College Archives). 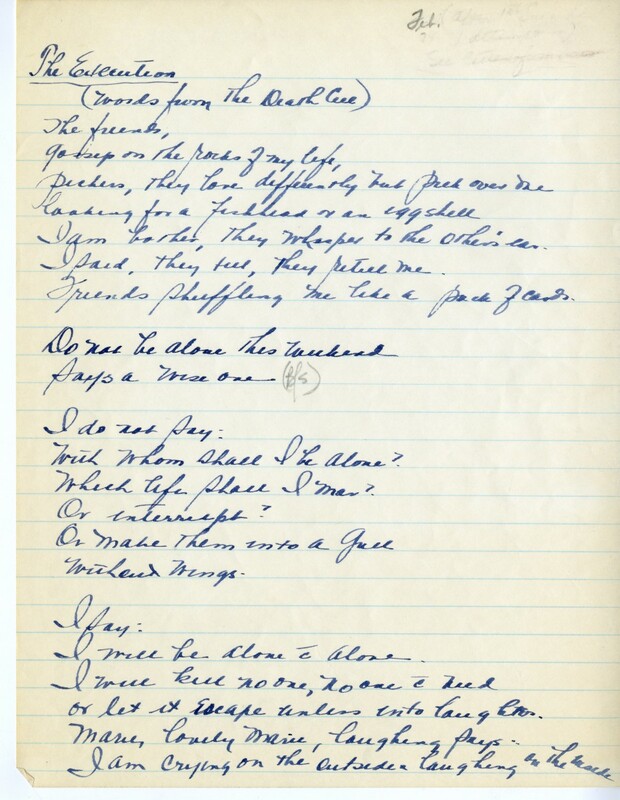 First page of “The Execution” (unpublished), dictated over the phone by Sexton to Schwartz, 1974. Observing the conclusion of its restriction period, we opened the envelope for the first time last fall. Notes written by Schwartz during a session with Sexton. Materials within include Phone-O-Gram messages, correspondence between Schwartz and associates of Sexton, as well as Schwartz’s notes from her psychotherapy sessions with the poet. These notes, like the one pictured right, document with poignant and sometimes unsettling detail, the intimate concerns, fears, and desires of Anne Sexton leading up to her death. An issue at the center of Anne Sexton research since the 1990s has been the decision by therapists to provide biographers with their records. In 1991, a longtime therapist of Sexton’s provided a biographer with access to audiotapes of their sessions, sparking heated debates about the ethical treatment of patient records in psychiatric and literary circles. Interestingly, Sexton’s own daughter has always supported the dissemination of these materials, citing her mother’s confessional style of poetry as precedence for sharing details about her personal life and mental health. We recognize that materials such as these can be difficult to work with, but it is our hope at Special Collections that they be used by students, faculty, and researchers in their study and understanding of Anne Sexton and her work. Anne Sexton. From Anne Sexton: A Self-Portrait in Letters. Ed. Linda Gray Sexton and Lois Ames, 1977. View the finding aid for the Anne Sexton collection at Middlebury College’s Special Collections and Archives, via ArchivesSpace.